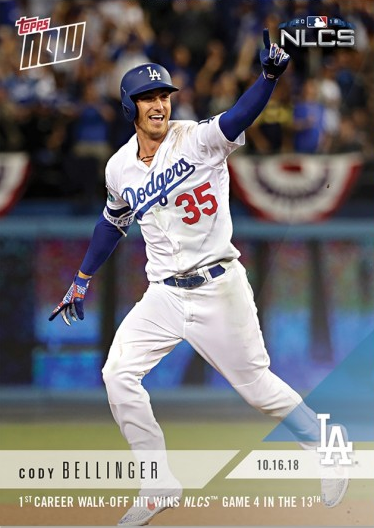 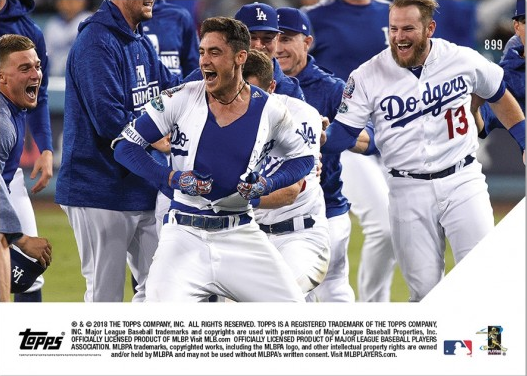 “It’s probably a feeling you won’t forget, seeing your guys chase after you,” said Bellinger, who watched Matt Kemp celebrate in the outfield after a walk-off double in September and figured he’d do the same thing if he got the opportunity. 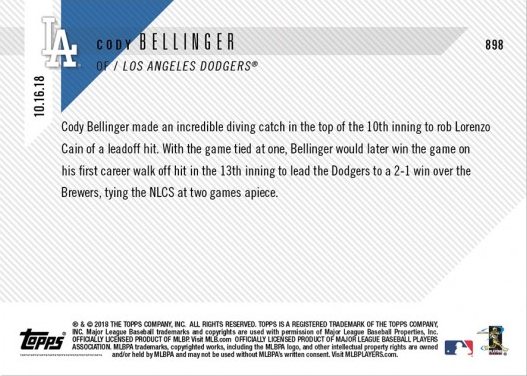 BTW, Topps also issued six different game-used base relic cards that you can see below. 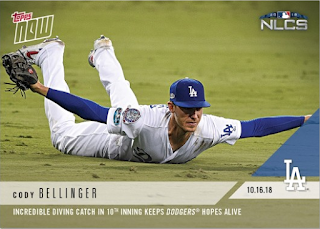 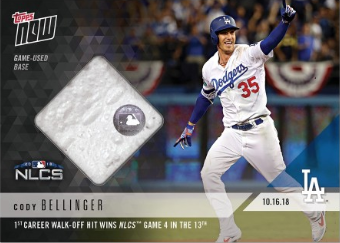 Here is a look at the six game-used base relic Cody Bellinger cards that are/were available. 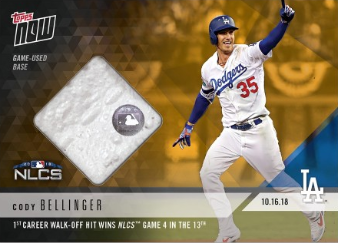 At the time of this posting only the cards with the edition sizes of 25 and 49 are still available. Below, I've paired the edition size with its sale price.